MBA Capital Funding arranged the SBA 504 loan and the first mortgage on the hotel. Lynda Drehmer worked hard to secure this loan in the territory of Puerto Rico and there were additional challenges which took perseverance in order to bring this deal to closing. . .
MBA Capital Funding’s Lynda Drehmer secured financing for the acquisition of the Quality Inn, Meadville, Pennsylvania. Lynda Drehmer created competition among different lenders to generate the best deal for the borrower. MBA Capital Funding secured financing for the buyer of the Holiday Inn Express and Suites in Limerick, Pennsylvania. Even though the buyer was not a U.S. citizen, Lynda Drehmer, Capital Markets Advisor, still secured an SBA loan and pari passu loan for the acquisition. MBA Capital Funding secured financing for the buyer of the Days Inn in Orange, Texas. Although the hotel was 35 years old, exterior corridor, and this was the borrower’s first hotel purchase, Lynda Drehmer, Capital Markets Advisor, still secured an SBA loan for the acquisition. 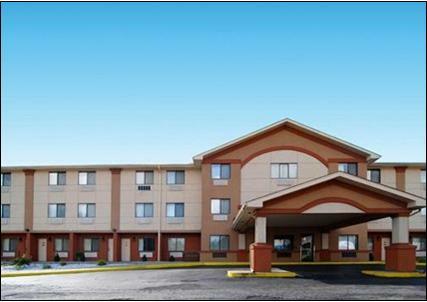 MBA Capital Funding secured a loan for the buyer of the 81-key, newly renovated Holiday Inn Express in Seaford, DE. Although revenue was high and the hotel was beautiful, the sellers were losing money due to high debt and high expenses. These factors made the deal difficult to get financed. MBA Capital Funding arranged financing of $6,600,000 for the purchase of the Country Inn & Suites in Linthicum, Maryland. The final sale price of the hotel was $8,500,000. The deal was arranged by Lynda Drehmer of MBA Capital Funding using a SBA 504 loan structure.